Let's take a poll - how many of you have killer shoes in your closet that you don't wear because they are so painful?! I sure do, but today I'm sharing a secret weapon that will change you mind about those uncomfy shoes. I recently sampled Sole Patches, a new product that eliminates the pain and soreness that comes with heels. 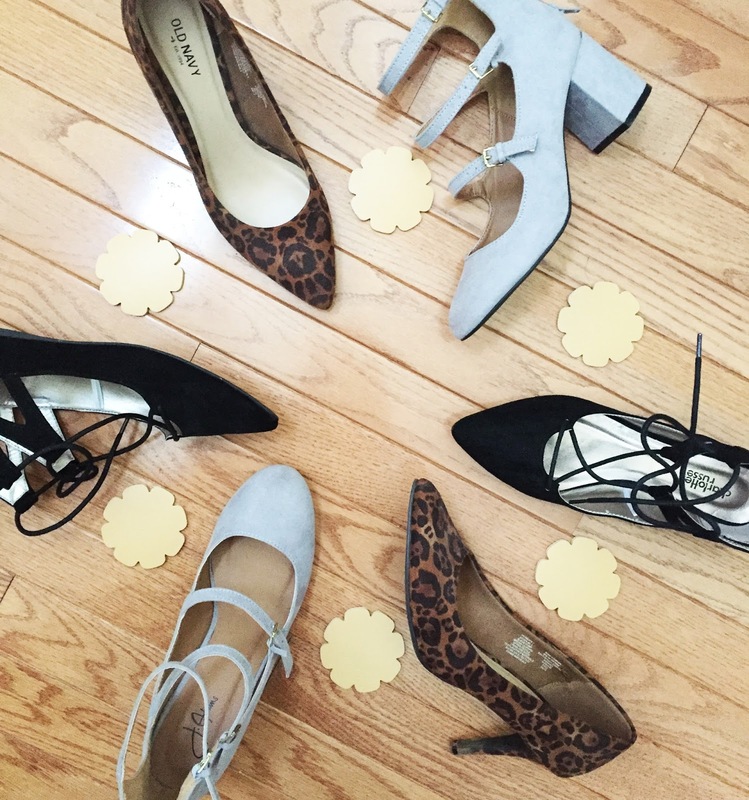 Sole Patches are adhesive pads created to eliminate pain and soreness from wearing heels. They also prevent feet from sliding in shoes, which I hate! How Do You Use Sole Patches? There are a few options for using Sole Patches! It is suggested that you apply the pad to the balls of your feet (don't worry-they are built to stay on your feet without fall off!) I didn't find this to be appealing, so I chose the alternate of placing them inside my shoes. Putting them directly in the shoes is more permanent as well. You can also place these on heels or wherever pain is a problem. Where Can You Find Sole Patches? You can purchase Sole Patches online! For under $10, you get a package of 6 pads! This definitely takes some getting used to. The pads felt uncomfortable at first, but once I got over the initial discomfort I did find my feet to be less sore at the end of the day. These pads will definitely entice me to wear my uncomfortable shoes in the future! Special thanks to Sole Patches and Brandbacker for the product samples. All opinions shared above are my own.